One thing is to be a bartender and another is to be a flair bartender. When you decide to look for the best bartender for hire for your wedding, you need to make sure that this person is able to make any drink that is popular at bars and that he is going to know how to serve those drinks with a flair unlike anything you have seen before. At slickbartender.com we have the most skilled bartenders that are going to entertain your guests while they wait for their drink to be made. The making of the drink will be a show on its own and this is the reason why our bartenders are the very best in the industry. If you want to be able to get the very best services for your wedding and you want to make sure that the bartenders you hire are going to provide an excellent night of entertainment, you will find out staff to be ideal for your needs. People have had their guests say that they spent the whole night at the bar because they would not get tired of seeing the amazing flair the bartenders displayed when they served the drinks to everyone. 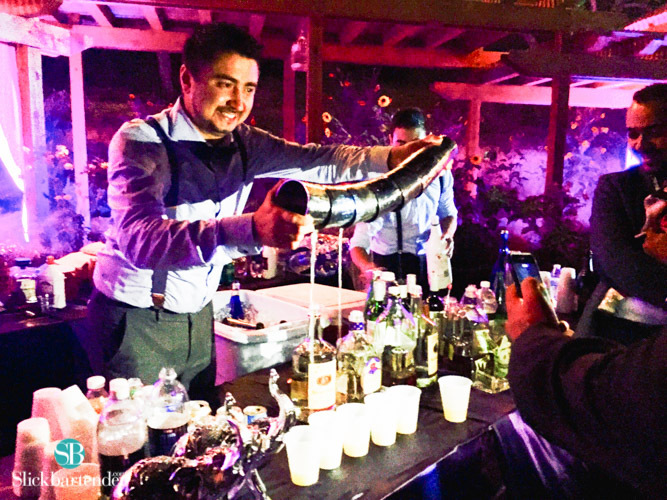 Hiring a great bartender is going to be a very important thing in order for your event to be a complete success. We will make sure that we can send the most professional mixologist for hire and this person is going to take care of the bar entertainment all night- Not only that, but we will also provide a staff to clean up after the wedding is over. This way you won’t have to worry about anything once the event I over. Just worry about having a blast on that special day and we will handle the entertainment for you.